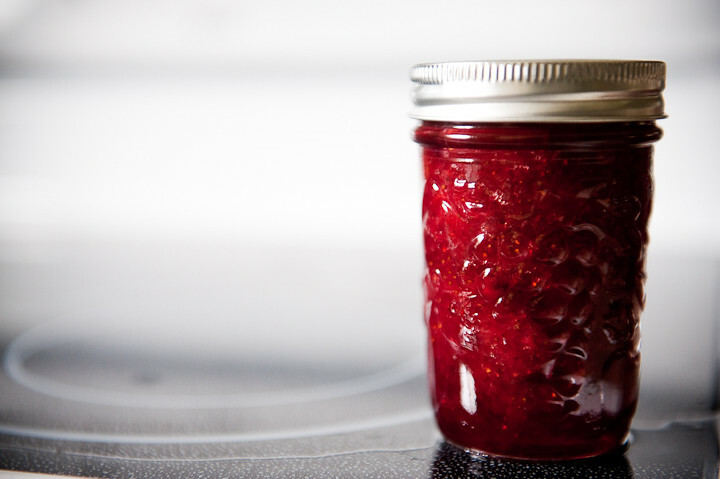 jam | TinyPants -- tiny pants. big ideas. Hard to believe these came from the same fruit. 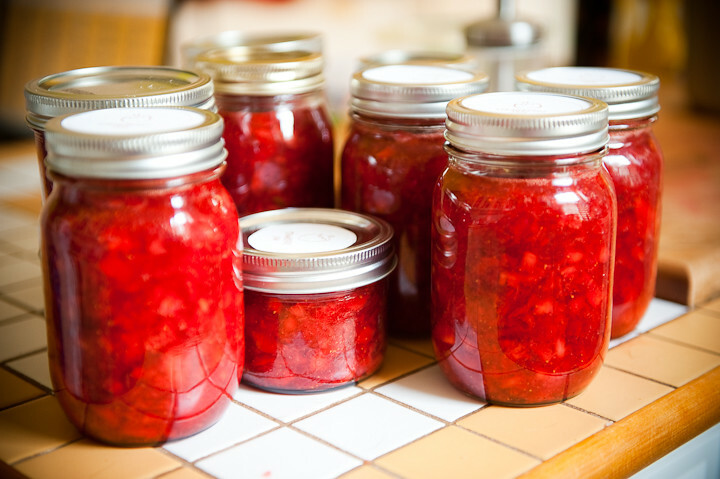 My mother-in-law invited us daughters-in-law to make jam. 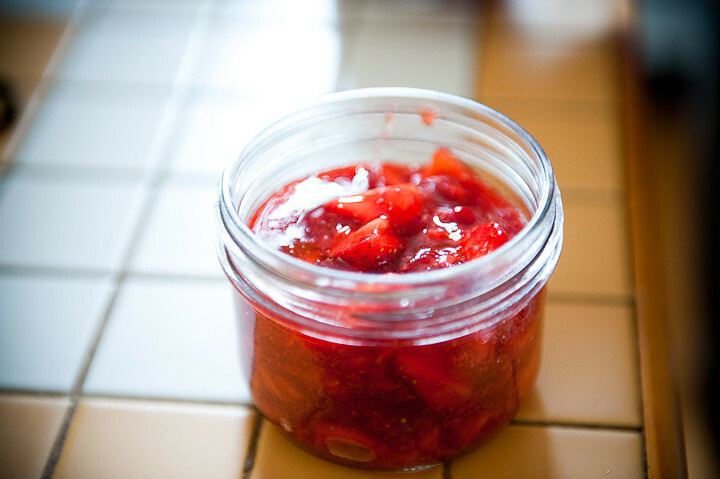 She bought the strawberries at a local farm, we supplied the other ingredients and jars. 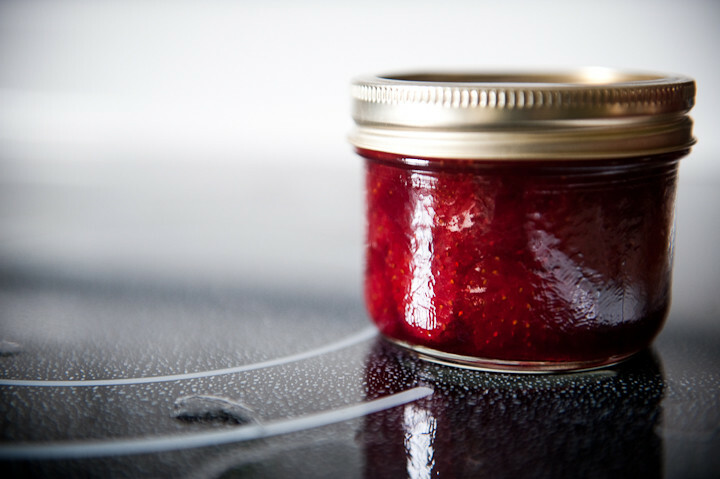 Schedules and recipes turned our jam session into a two day affair. 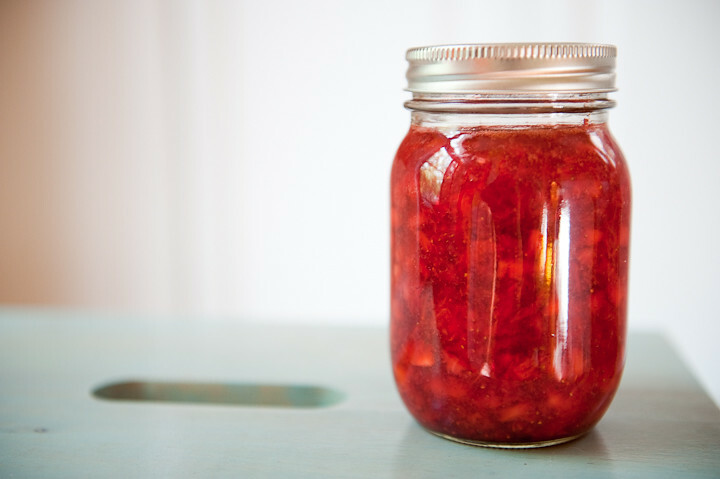 Day 1 saw us turn 8lbs of strawberries into jam. Domestifluff’s labels were the perfect final touch. 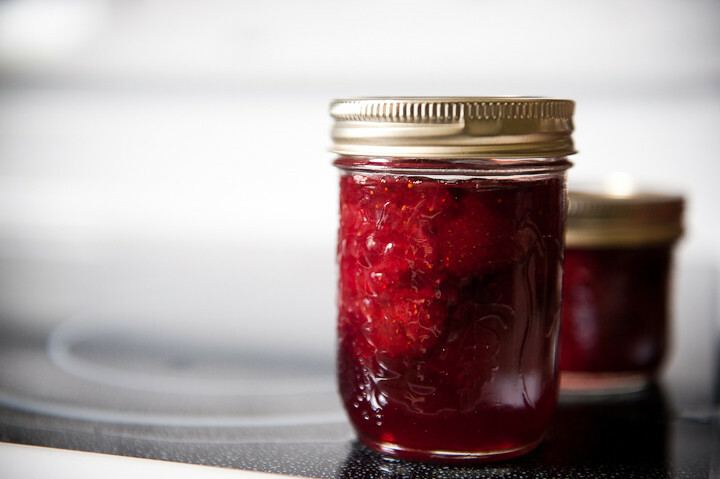 Day 2, Joshna (who is technically a cousin-in-law, but we refer to each other as sisters to make things simpler) showed Kathleen and me the beauty and simplicity of freezer jam. 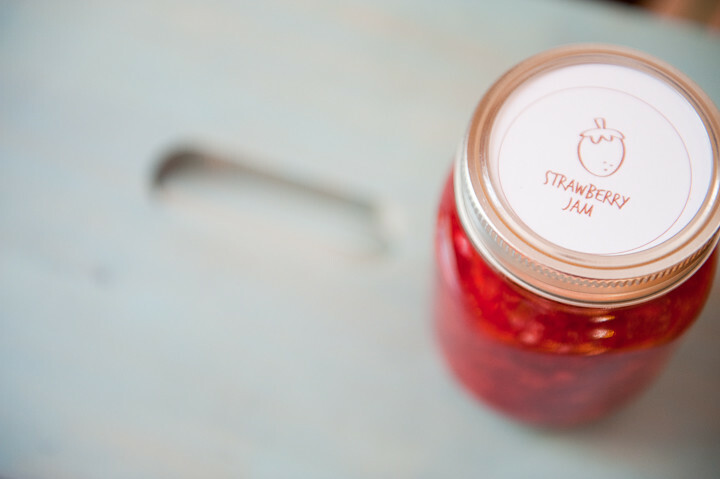 No cooking, no sterilizing jars, and it retains the fresh summery taste of the strawberries. 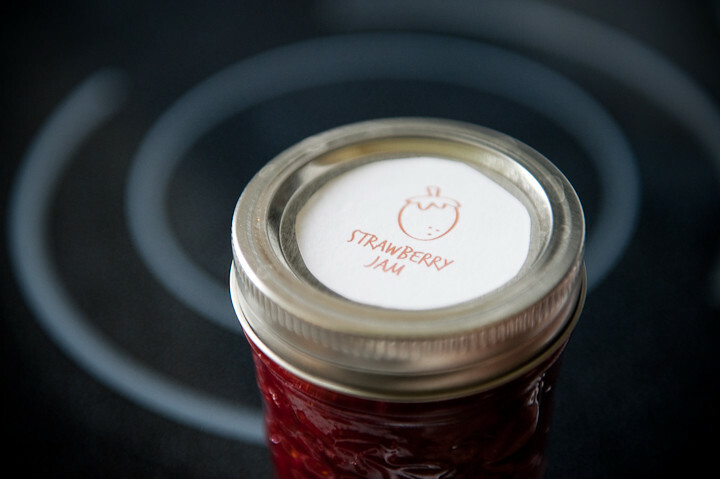 Because this jam sits in your freezer, labels don’t want to stick, so we adapted the Domestifluff labels by cutting them out of cardstock and sticking them under the ring. 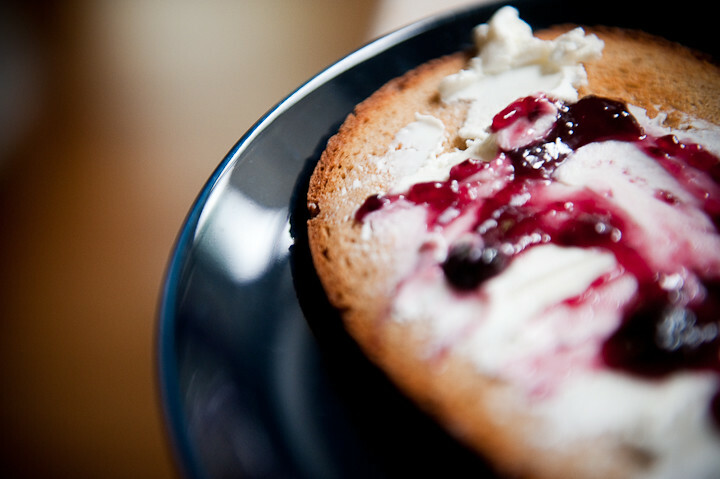 Of course, whenever Joshna comes over, we enjoy lovely, locally sourced snacks. 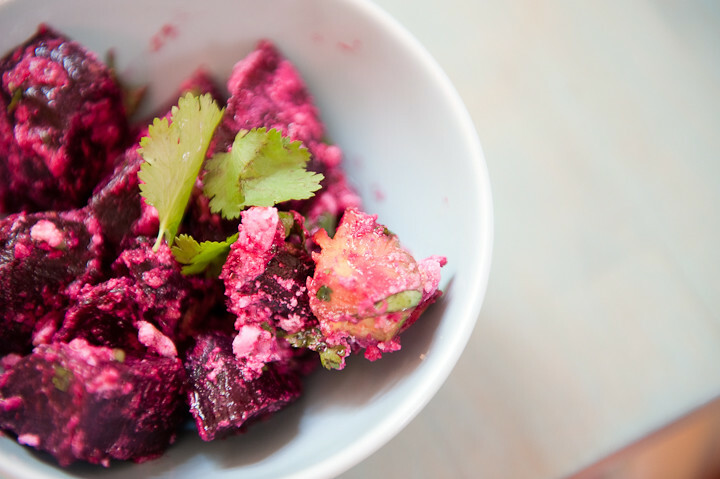 Here’s her oh so delicious beet, avocado and feta salad. 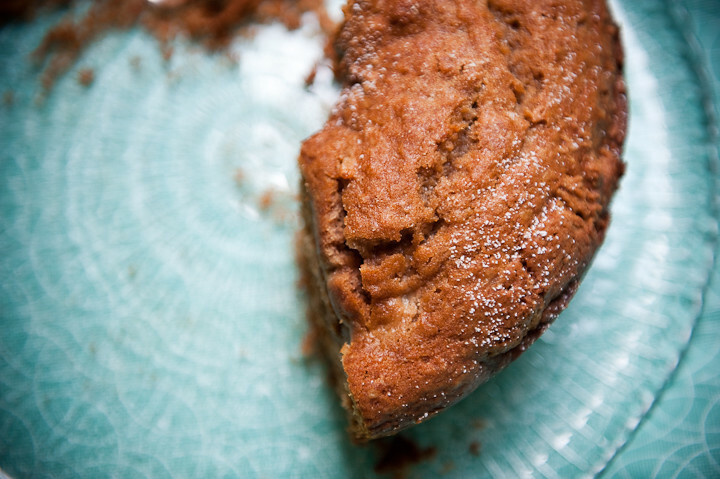 And a seriously moist applesauce cake with cardamom which I made with homemade applesauce from last year (eek!) that was taking up room in my freezer. A perfect end to the day. It’s raining. The air is heavy. The baby’s finally sleeping off his foul mood, on his own, in the bed. 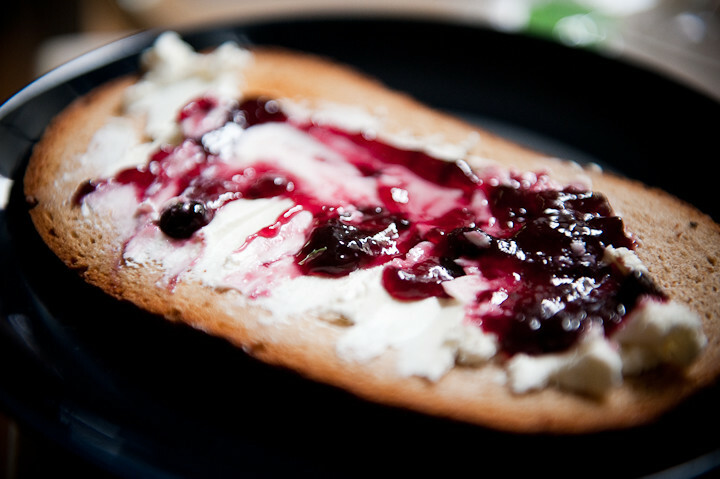 And I am enjoying a perfect piece of heaven – goat cheese with jam on toasted klosterbrot.